What is it, and/or where is it? Image shows up fine for me. 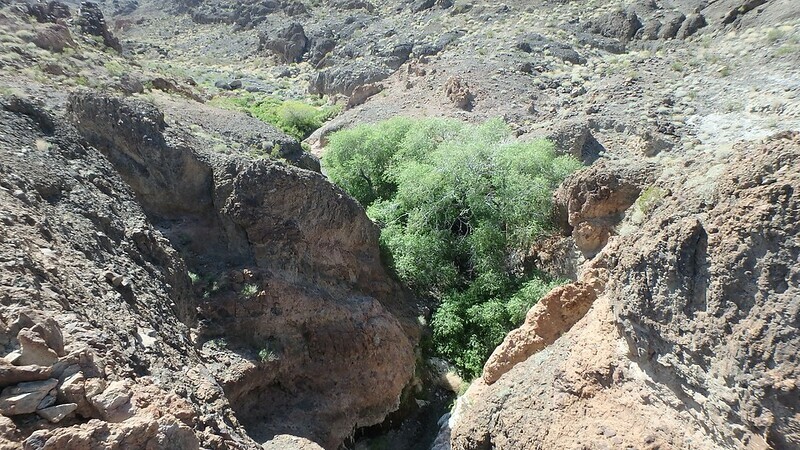 I've not seen this but could easily believe somewhere in the Greenwater Valley with drainage to the west (like Gold Valley, but I have not been in there). The old rock building is about three miles up Virgin Spring Canyon from the trailhead parking area. There are other old rock structures there but the one in the photo is the best one. They are shown as "ruins" on the topo map. 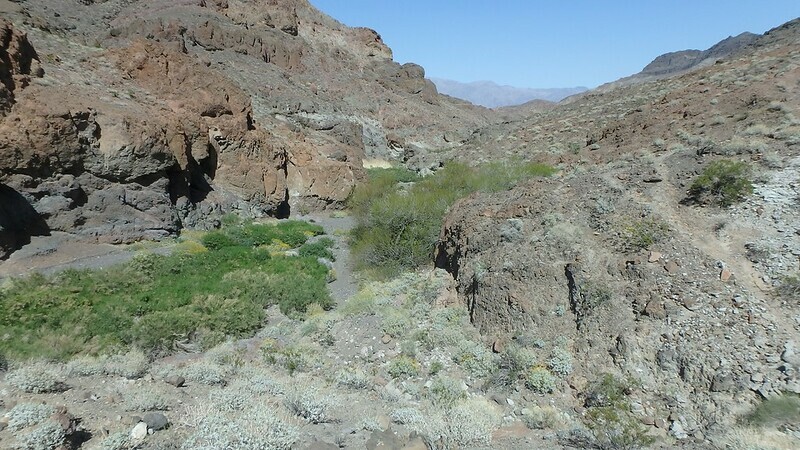 Digonnet talks about this site in the Virgin Spring Canyon chapter of "Hiking Death Valley." Damn, I've been there. Just didn't recognize it! Long long time ago, probably 20 years ago. Here's one I bet no one will figure out! This site is in the Park, but where? I actually hope someone can surprise Candace_66 with the correct answer. Kind of looks like Loretto, where the Big Pine-Death Valley road enters Eureka Valley on the western side. Or near the 1980s era milling facility north of that road, which processed ores from the Nikkolaus-Eureka mine. Nope, it is not up there, it is farther SE. I don't know it. But thanks for keeping this thread alive, Candace. You've been all over the place! The pics were taken at an unnamed (at least on the topo) site near Indian Pass. It's on this map snippet, in the lower right corner where it says "prospects." I included a large snippet to give you an idea where it is. I hiked to it (and beyond) via the north-south dirt road that runs directly to it. The road is now closed at the Park boundary/state line. I took these pics from a bypass trail. This spring is in the Park, have you seen it? Johnson Canyon heading towards Hungry Bills? Cottonwood Canyon east of Hunter Mountain?